Small and slender, 3 to 4 inches long, with large ears, small eyes and pointed nose. Light brown or light grey. Droppings are rod-shaped. Mice live everywhere outside and are found more often indoors than rats because they are smaller and more able to fit through small openings. Mice can fit through a crack or hole 1/4 of an inch or larger—about the width of a pencil. Their territory generally ranges 10 to 30 feet from their nest and they are curious but wary. They are also excellent climbers, making rodent control difficult and can enter your home through holes in soffit vents, around cables entering the building, and through turbines and box vents on the roof. Effective rodent control involves sealing as many holes and cracks as possible in the outside of your home. Keep firewood stored as far from the home as possible and store it off the ground. Remove piles of debris, stones, bricks and leaves near your home’s foundation. Stuff large holes or cracks in your foundation with steel wool or wire mesh before sealing with caulk or foam—otherwise mice could chew through. And since mice can slip under many garage doors, don’t forget to tightly seal the door from the garage to the house. 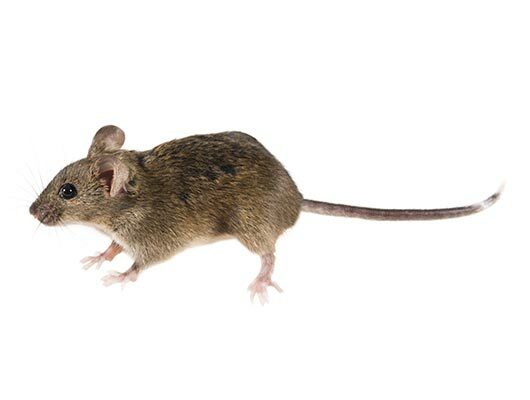 To locate existing nests and eliminate mice already in your home, professional rodent control materials such as baits and traps are usually needed. The Norway rat is the largest and most common structure-dwelling rat in the world. In rural areas, it lives in fields, wooded areas and farms, and in urban areas in vacant lots and buildings, where it is a focus of rodent control. It nests in burrows underground and may enter buildings in search of food. Due to its large size, it needs a hole about the size of a quarter to enter a building. Once inside, Norway rats can chew through wiring, causing fires, and removing them often requires professional rodent control expertise. They are known to spread numerous diseases. Successful rodent control is a multi-pronged effort. Keep firewood stored well away from your home. Remove debris piles. Seal any holes larger than 1/4 inch. Remove or fix sources of moisture and harbourage, such as indoor trash cans, dripping taps and open food in pantries. Your Newcastle Kill a Pest technician can inspect for early warning signs and implement customized rodent control. Black or brown, 7 to 10 inches long, with a large tail, large ears and eyes, and a pointed nose. Body is smaller and sleeker than Norway rat. Fur is smooth. Roof rats get their name from their preference for the upper parts of buildings. They mainly present a rodent control problem in coastal states, particularly in the South-east. Rats have very poor vision and are colour blind. They only need a crack or opening the size of a quarter to enter a building, and once inside are known for the damage they cause by chewing on materials and eating stored foods. Historically they were known as carriers of the highly dangerous bubonic plague, and continue to transmit serious diseases. To prevent roof rats from entering your home, seal up any holes or cracks larger than a quarter. Remove sources of moisture and harbourage, such as indoor trash cans, dripping taps and open food in pantries. Your Newcastle Kill a Pest technician can inspect for early warning signs and implement customized rodent control strategies.